Every week, I perform a free web design audit to help a small business in Perth. Today I’m helping a dentist called Dr Han Oh Dentistry. 1) It was difficult to find the above call to actions. They are at the bottom of the page in very small font. I would increase the font size and bring the call to actions higher up on the page. Many of the other dentistry websites have a button to make a booking. 2) The above call to actions could be made to be more appealing. For example, the services could be broken up into icons or images with text underneath that describes the service. The contact me call to action could be improved to say something like, Call Dr Dan Oh on 9328 3337 Now to Make a Booking. Is Dr Han Oh Dentistry using appealing headlines? 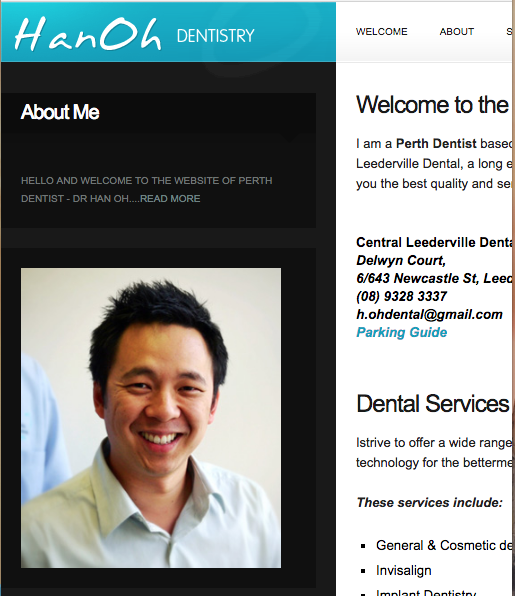 Welcome to the website of Perth Dentist, Dr. Han Oh. 99 Likes on Facebook and to be fair that’s all I could find. 5) Dr Han Oh Dentistry have an image of Dr Han Oh on the left hand side of the page. Although I think this is a good start, I think a better image would be a full screen image with Dr Han Oh in the center and the dental room in the back ground. Even better would be Dr Han Oh with the entire team. Do Dr Han Oh Dentistry mention the primary purpose of their page in the above the fold content? 6) In my opinion the primary purpose of the page should be to ask visitors to call and make an appointment or to book an appointment from the website. I don’t think DR Han Oh is achieving this purpose. I would add a large call to action that says something along the lines of Call Dr Dan Oh on 9328 3337 Now to Make a Booking. I would include a clickable phone number in the top right hand side of the page. I’d also include a button to book an appointment. 7) Next I’m going to look at fonts and use of white space. I think Dr Han Oh has made good use of white space on his page but I think the fonts are too small. I also think there needs to be better copywriting and more headlines and images. 8) Finally I’m going to look at use of visuals, colour and prominence of calls to action. The colour scheme is lightish blue on a dark background. I think the site needs a bright colour for headlines and call to actions to drawn attention to important parts of the page. The writing in the left hand side bar is barely visible and I think needs to be white and bigger. 9) It’s important that navigation is user friendly. Typically navigation links are blue and underlined. Also when you hover over them they should change colour. There is also no links in the footer of the site. I would change the colour of the navigation and include a hover effect. 10) Below is what Dr Han Oh Dentistry looks like on smaller screens. As can be seen the page is not mobile responsive as the text overflows. Since almost 55% of traffic is now on mobile phones I would recommend they redesign their site to be mobile responsive. 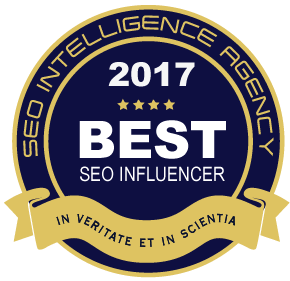 I hope you’ve found this free web design audit insightful. Get a web design quote from any of the Perth Web design Agencies and I’ll beat it by 50%.